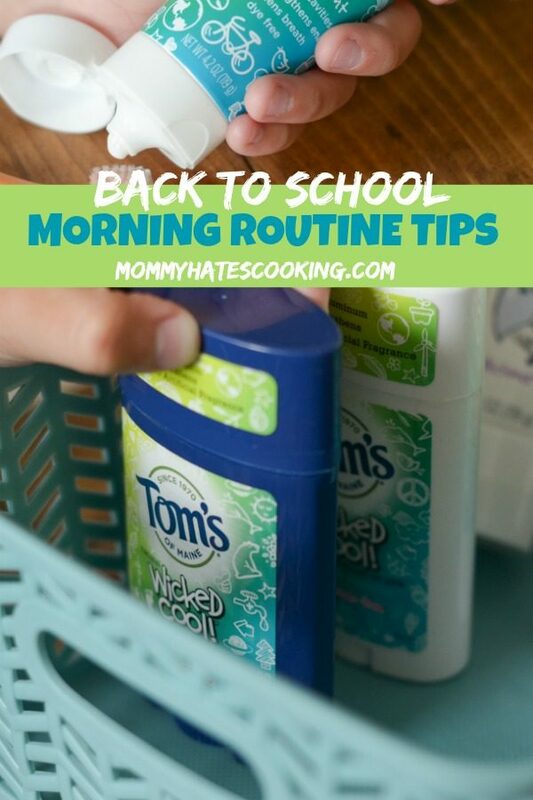 It’s time to start thinking about heading back to school — that means it’s time to create a back-to-school morning routine. I hate to break it to you, but it’s almost time to head back to school. We are just 22 days away from going back to school. 22! How did that happen? We’ve enjoyed this summer, but now it’s time to start thinking about what the mornings will soon look like once school starts. In our household, it’s imperative to establish a good back-to-school morning routine. 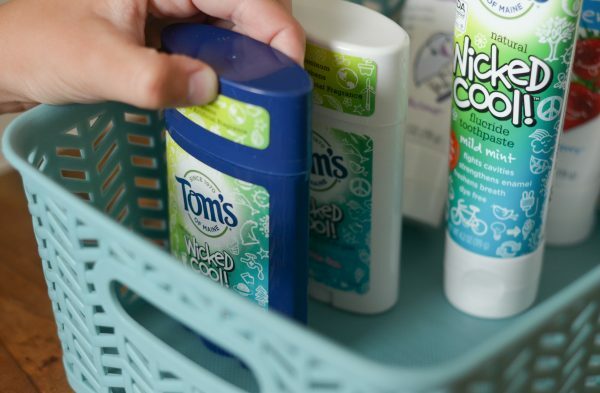 I decided to start planning out this morning routine by adding some Tom’s of Maine® products to our kids bathroom to be sure they have all that they need. 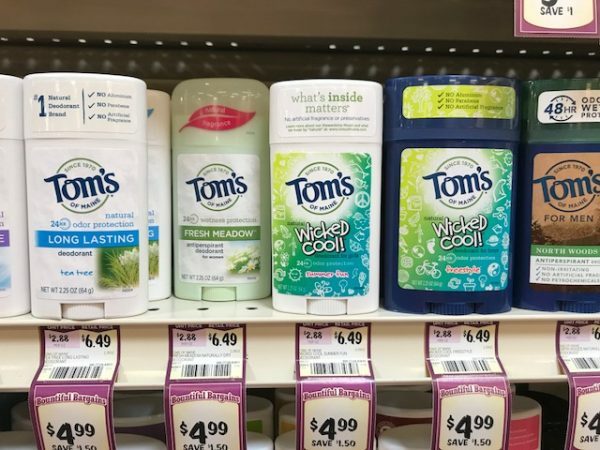 Our son is just about to start 4th grade, he’s hit that stage where deodorant is now mandatory, but I also want to be sure he’s wearing something that will not harm his body either. 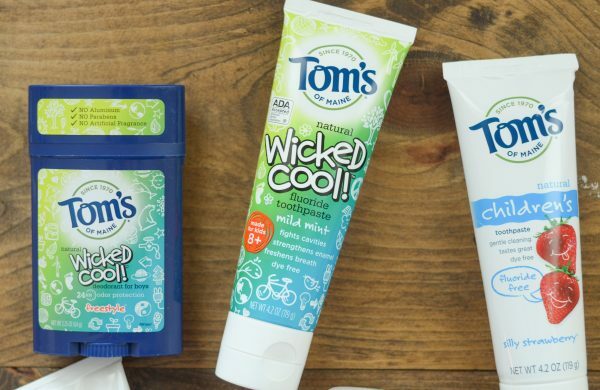 I feel like I can truly trust Tom’s and the personal care products that they provide, which just happen to work out well for our kids too. We were able to pick up several Tom’s of Maine products as we shopped through Sprouts. 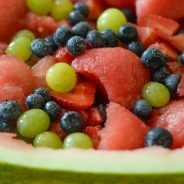 I picked up some great foods to head back to school for lunches as well, but the best part is I can grab personal care items there too. I decided to put a basket in our kids’ bathroom to hold all the products they would need to get ready in the morning. In terms of my son, that meant his toothbrush with toothpaste along with deodorant. He also needed some hair gel too, so we added that later. 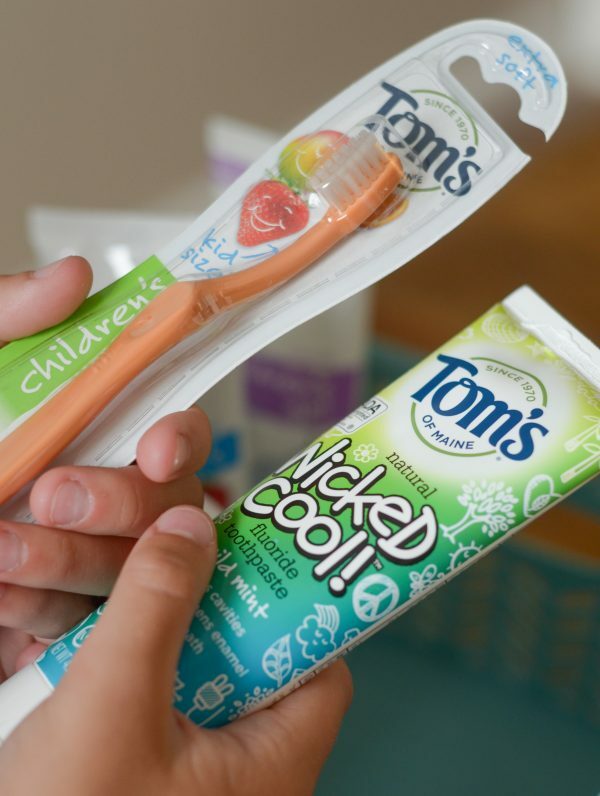 With each Tom’s of Maine product that is purchased, 10% of all the profits go to human and environmental goodness that means you are giving back too. This goodness means eliminating waste and encouraging sustainability. They also encourage their employees to serve in their communities too. Each of their products contains no artificial colors, flavors, fragrances, or preservatives, plus they are not tested on animals either. 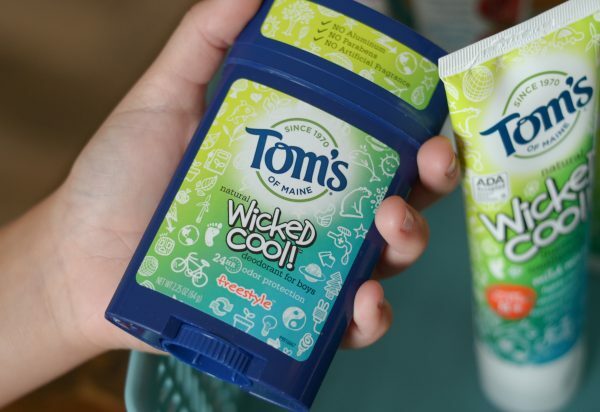 My son immediately gravitated to the fun packaging of the Wicked CoolTM Tween Deodorant. It has 24-hour odor protection plus no aluminum. It’s also made with great fragrances specifically designed for boys and girls. Now as we head back let’s think about these tips for creating a good morning routine. Of course, adjust it to work with how your family functions in the mornings. We all do better with some planning ahead in our household. Basket in the bathroom with necessities for the morning. Create a breakfast station or a variety of different options they can choose from in the morning. Leave home earlier to ensure you arrive on time. These are tips that we keep in mind as we plan our morning routine. The most important thing has simply been to plan ahead for us, such as setting out clothes the night before and making lunches. 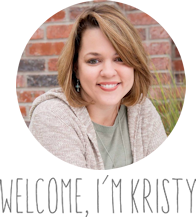 It makes it so much smoother, plus easier for my kids to not have to think about what to wear in the morning. Of course, my favorite part was adding the basket of essentials from Tom’s of Maine. This is especially helpful for my daughter. She will be turning 6 soon and having everything she needs like a great toothbrush and toothpaste in a basket works very well for her. 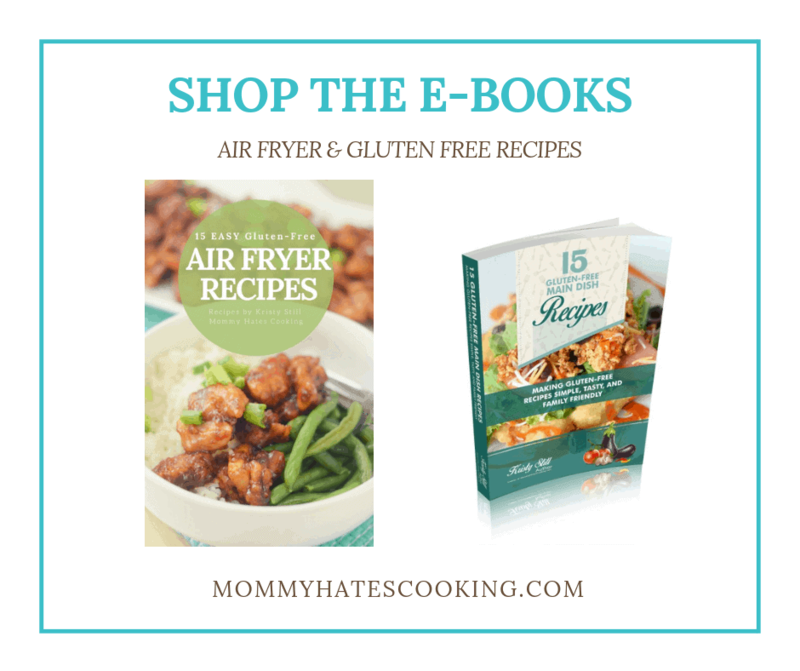 How do you get going during back to school season? I’d love to hear some more of your tips! 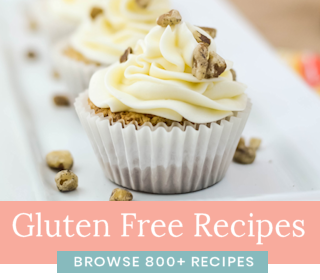 Be sure to share them with us! 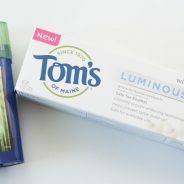 Plus head to Sprouts to pick up your Toms’ of Maine products and learn more here about how Tom’s of Maine is supporting the Kids in Need Foundation this back to school season! the strawberry toothpaste seems delish! 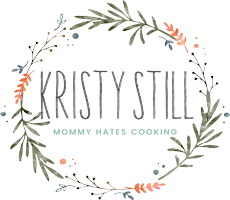 love using these natural products for me and my kids! Great idea to out them in a basket.